The Seminar Room is situated on the Mezzanine Floor of the Library. It is used heavily during term for teaching/supervisions and other meetings. When it is not booked, the room can be used for quiet study. 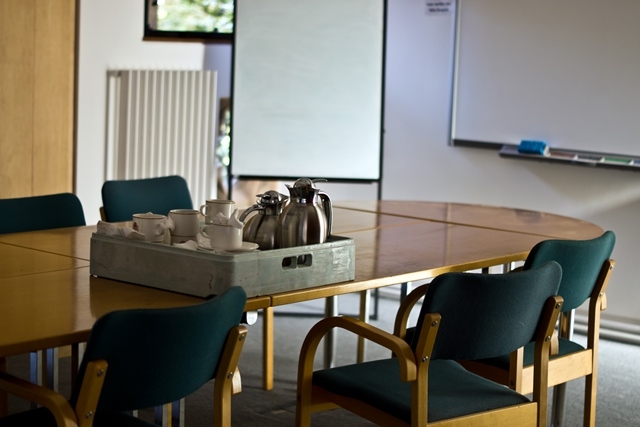 The room is equipped with a data projector, hi-fi system, TV and video, overhead projector, slide projector and screen, which may be used for academic purposes during staffed hours only. A laptop for use with the data projector is available from the Issue Desk. Members of St John's and all those who supervise for the College can book the Seminar Room for teaching purposes. Bookings can be made via the Online Room Booking system.